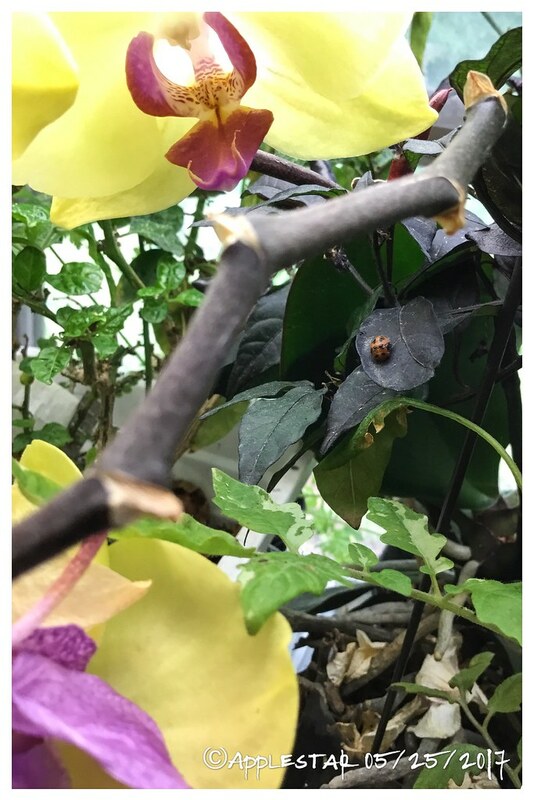 Yep, it's always good to have something large, like trees that provide attractive habitat for predatory ladybugs. In my garden, I discovered to my delight that the plum tree in the back yard and golden locust in the front yard serve this function. Not only the trees but areas under them to just beyond the drip line become full of mature ladybug larvae and pupae, and we have to be careful of weeding and mowing until they eclose. 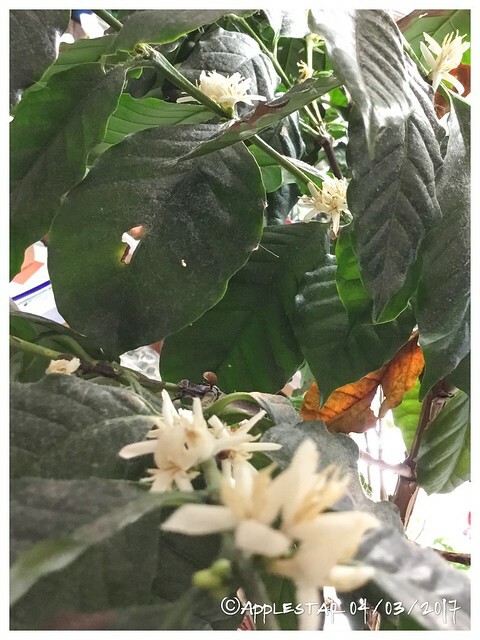 Winter Indoor Garden -- the coffee tree is in bloom again. Garage V8 Nursery is getting busy. 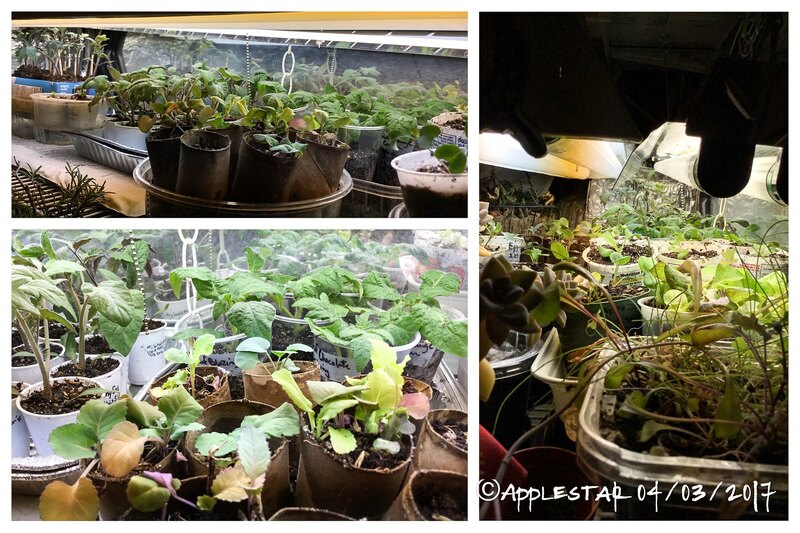 The upper shelf is dedicated to the started seedlings waiting for their chance/turn to go outside to harden off. 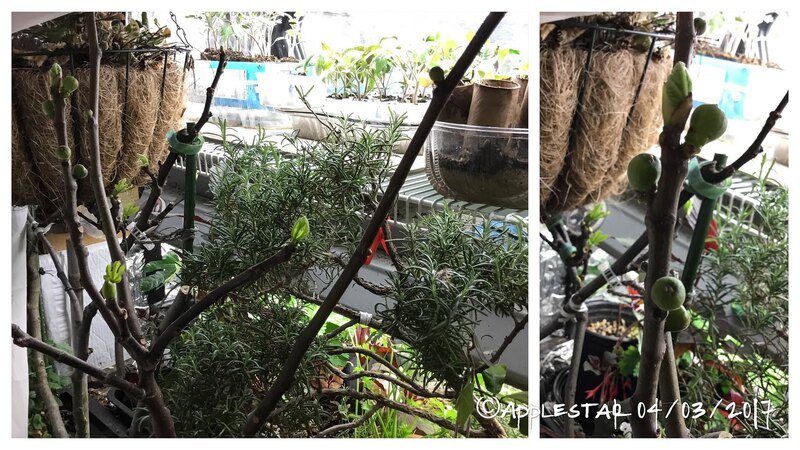 The container fig trees will need to go outside soon -- the New unfolding and developing buds•fruits are in danger to being rubbed and bumped off while I'm tending to the seedlings, and they are basically in the way. applestar wrote: Winter Indoor Garden -- the coffee tree is in bloom again. That first pic is a Coffee tree? I've been wanting to get one, but what caught my eye is that those flowers look much like the flower of a citrus tree. Am I seeing that correctly? Are the flowers fragrant, like a citrus? Yep. More about this tree -- shrub -- here Subject: COFFEE SEED IS SPROUTING! The flowers don't have significant fragrance, but line each branch so it's very pretty when in bloom, and it blooms in several flushes through the year. Here are two of my overwintered peppers being readied to be planted out. As you can see, this Aji Pineapple and Jalapeño were dug up and crammed into the doubled grocery bag *to be potted up later* ...but they seemed fine all winter in their bags and I never got around to potting them up. They spent the winter by a SE-facing upstairs bedroom window with nominal supplemental light -- it was a double CFL bulb 2.5 feet away with other plants in between. They both began showing signs of mite infestation but recovered after predatory mites were released. You can see some ripe fruits in the photo. 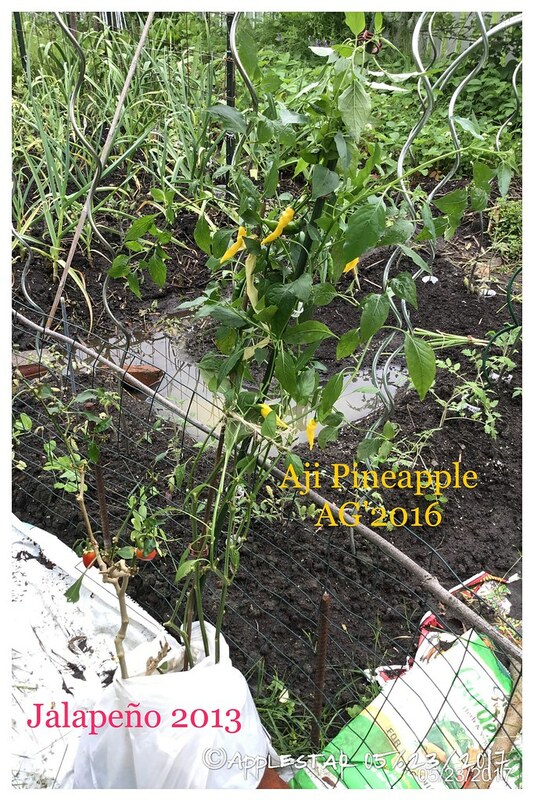 Jalapeño is getting old and may not recover its vigor. I have several new jalapeño-type varieties that I started from seeds for this season. I just binge-read this whole thread and I am so impressed! This is so beautiful and interesting. 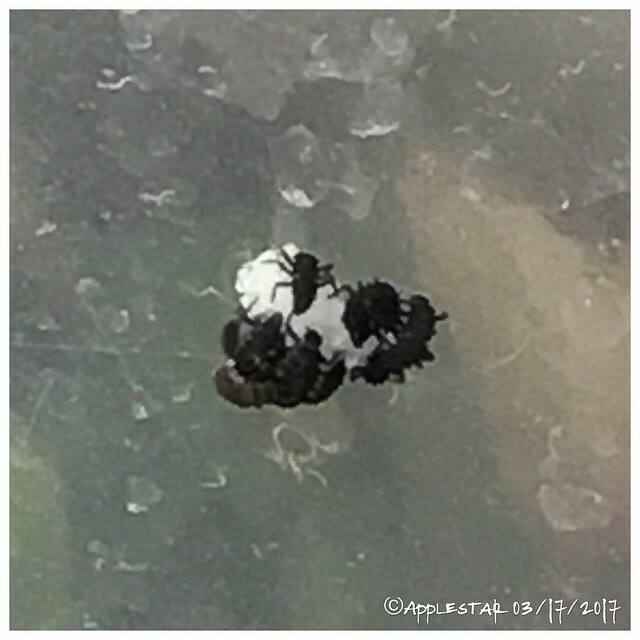 I had 5 little herbs in pots all winter - only 1 of the originals survived when I moved them to a more evenly warm/humid window by the kitchen sink - and even then my SO thought I was crazy (though he did very sweetly humor me). I can't imagine what he would think of this - especially releasing ladybugs indoors! He's since come around a bit, realizing how much better it is to have fresh herbs in our food, and how much more cost effective it is just to keep them around both for that and for the pests that they deter! I'm so glad you enjoyed my little winter adventure. Yes, just show this thread to your SO and say -- "Look at this CRAZY person. At least I'm not THAT bad." Haha -- I would think anything would seem reasonable by comparison. WINTER INDOOR Container Plant care - What works? Problems?